LMD ScriptPack allows to extend functionality of an application by external scripts - source code changes or to rebuild projects is not required! 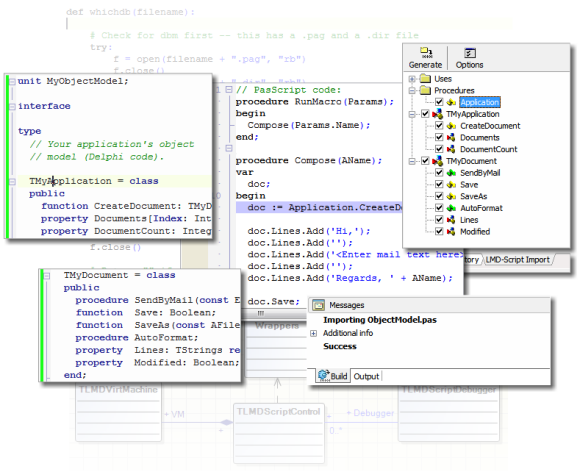 Since release 4 an integrated debugger for handling the supported script languages is included. Release 5 added VCL.NET support. Since Release 5.1 a native PascalScript implementation is available!